Hold aces up your sleeve all the time with these elegantly crafted set of playing card cuffs and take your style beyond the standard. 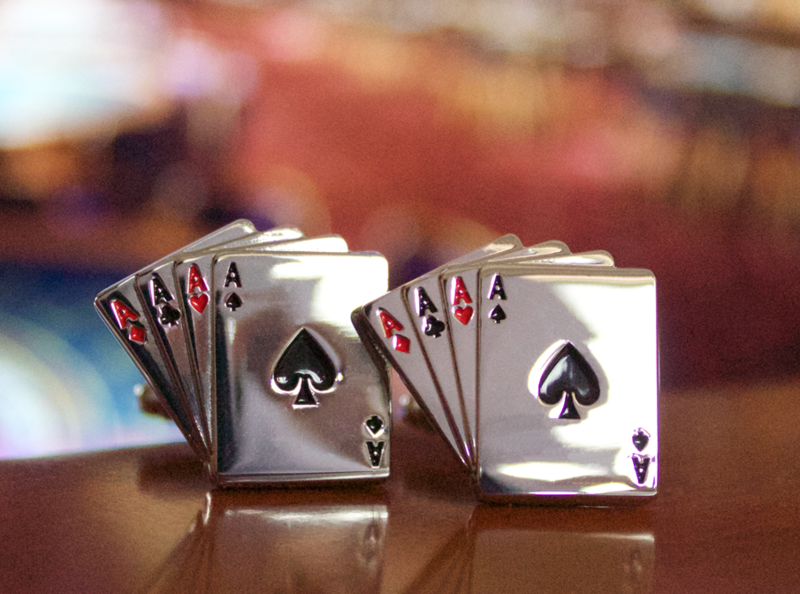 Each side shows off the aces from all four suits, you'll be always lucky wearing them. They're composed of quality silver and have enamel insets that create all the black and red details of each of the cards. These cufflinks are fun and show off your love for cards. Each pair of cufflink is presented in a beautiful box - ready to gift or keep for yourself.